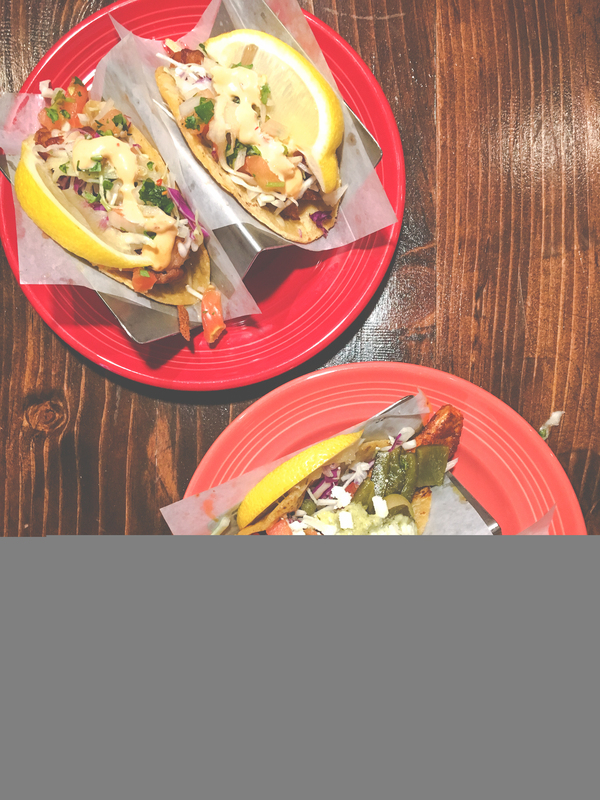 Disclosure: I was a guest of Ocho Cafe Tacos & Tequila at a recent event where they invited local influencers to taste a sampling of their menu. All photos and opinions remain my own. At the convergence of Route 44/Albany Avenue and Route 218/North Main Street in West Hartford, it’s easy to get overwhelmed. Bishop’s Corner is a flurry of activity, whether you’re seeking groceries, bargains, banking, or a bit of relaxation. 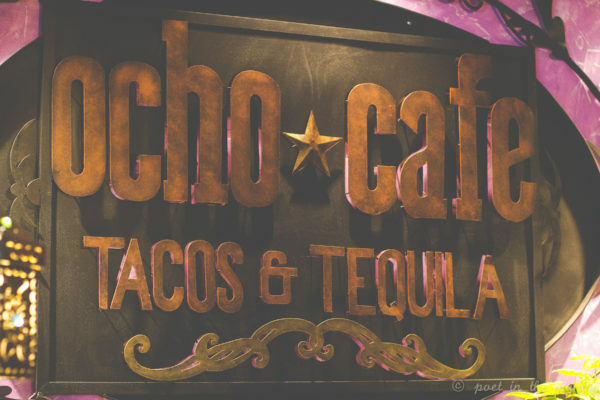 Hidden in Bishops Corner East, among all these possibilities, is Ocho Cafe Tacos & Tequila. 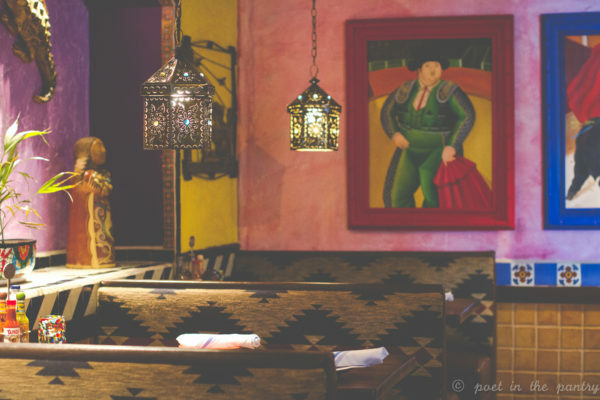 The nondescript exterior belies an oasis inside–a chance to be transported south of the border for a little while, without requiring a babysitter. Ocho Cafe is a true Mexican restaurant–and I don’t say that simply because of the decor. 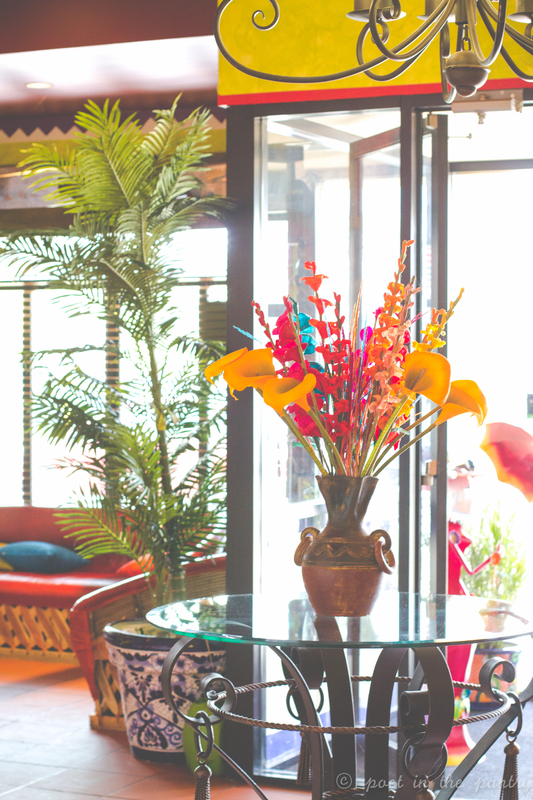 Yes, it’s a beautiful establishment to roam, admiring the paintings, sculptures, and color scheme. But this family-owned eatery is the real deal. Recipes come straight from family members in Mexico, and it shows. There is nothing cookie-cutter about this place. A restaurant based on family recipes tends to bring something special to the table. In this case, that means everything is ultra fresh. 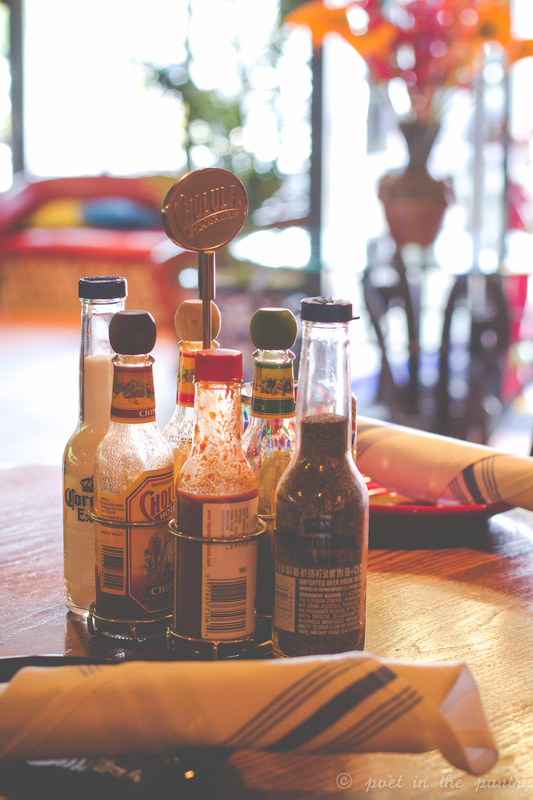 The salsa is made on site and is served in a manner so that everyone gets a bowl of his/her own–something I appreciate since I am usually battling my children for a few scoops of scraps. There’s also a salsa bar, where patrons can pile on extra fixin’s. Jalapeños, pickled red onions, salsa verde, and this chipotle sauce that I wanted to lick out of the cup–I could have spent the whole afternoon just eating this! But there was so much more! Tequila was my draw on this occasion, and Ocho Cafe has it in abundance. 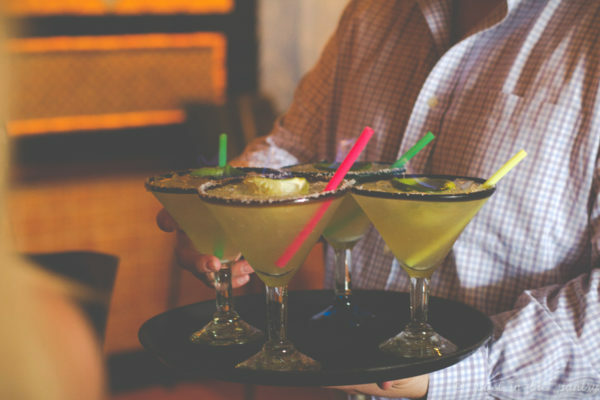 Around 60 varieties, actually, with staff well-versed in the selection to assist you in choosing the right tequila for your purposes. We started the afternoon with a Torero Margarita ($16), which combines Don Julio Reposado tequila, 100-year-old Grand Marnier, fresh sour, and lime and is served with a lime “cup” of lit 151 rum for fun. 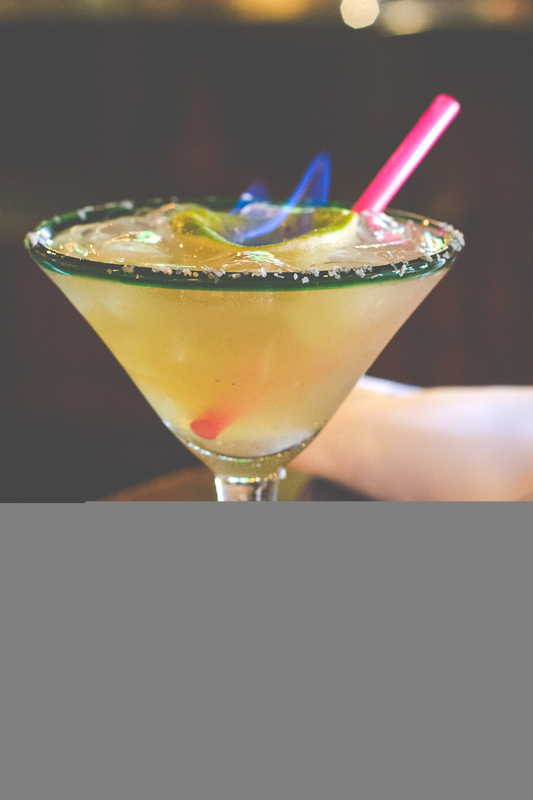 (No worries–the flames are easily extinguished before indulging!) Don Julio is one of my favorite tequilas and this was a fabulous way to feature it. Be forewarned: they go down super easily. Our menu sampling included small tastes of several favorites from the menu, and one item not on the menu currently: mushroom salsa. The mushroom salsa–chopped carrots, jalapeño, cilantro, mushrooms, and lime–was a riff off of a menu item from one of their other restaurants (this is number 8, after all!) and made for a hearty tortilla chip topper. We also had table-side guacamole, prepared, well, at the table, with your choice of add-ins. I’m not sure how they get so lucky with all those perfect avocados, but I’ll take it! The Chicken Tortilla Soup ($7, $10) was a treat, with chicken, avocado, chives, and tortilla strips in a delightful broth. 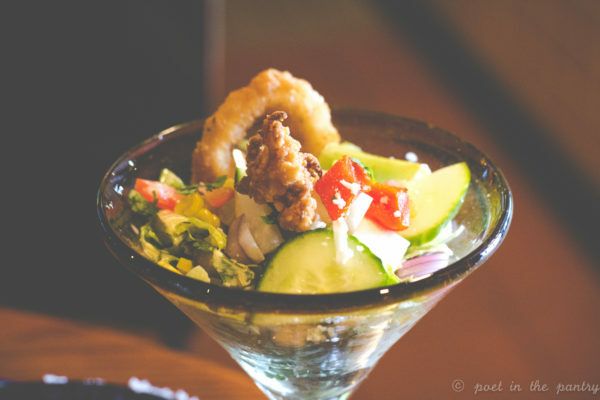 Our taste of Ocho’s Chopped Salad ($10) was served in a cocktail glass (don’t worry–you get way more than this normally!) and featured Romaine lettuce, chopped tomatoes, jicama, onion, avocado, corn, garbanzo beans, cucumbers, roasted red peppers, and cotija cheese with a chipotle ranch dressing. It was topped with fried calamari and a friend onion ring for a special extra touch. I loved that there was FRESH corn in this salad and the dressing complemented it perfectly. But the nachos. Oh, the nachos. Border Nachos ($13) are served with your choice of meat, but we had chicken and beef to get the full picture. The mound overflowed with jalapeños, lettuce, pico de gallo, beans, cheese, guacamole, and sour cream and I had to show some restraint and not dive head first into that beautiful mess. 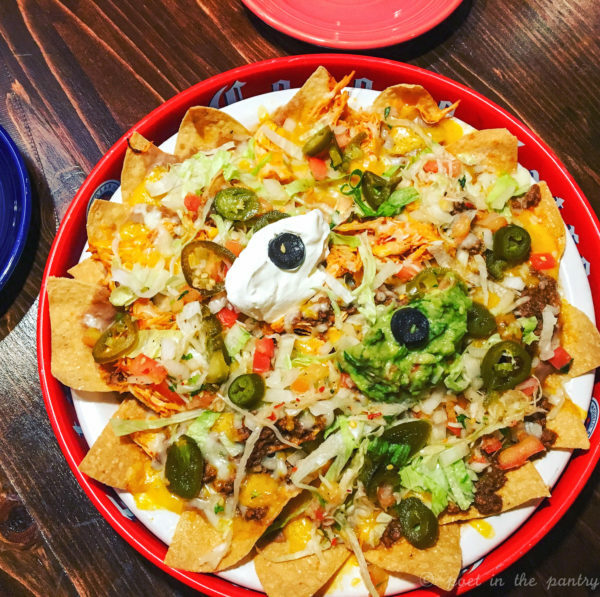 I’m a simple gal–a good plate of nachos and a margarita really do it for me. 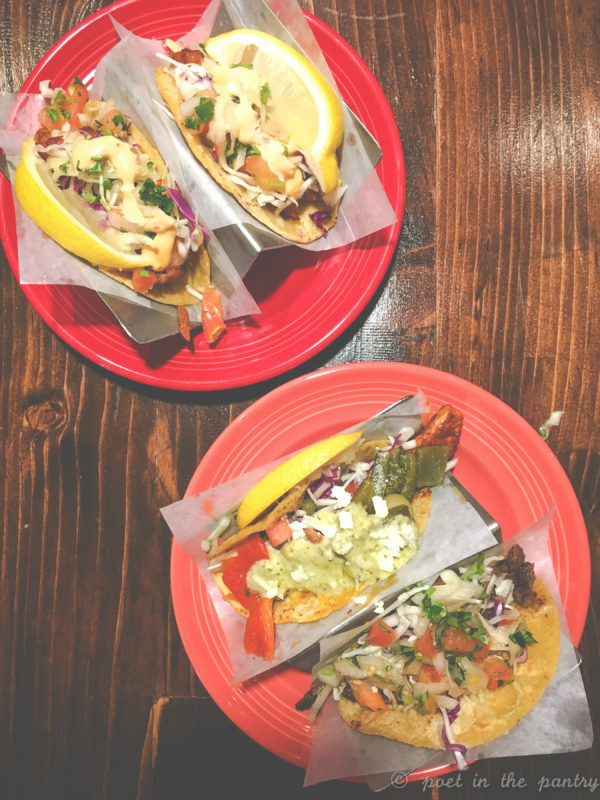 Tacos ($9-$16) are the main event here at Ocho Cafe and they are a prime example of why every day should be Taco Tuesday. Most notable were the Marco Polo tacos, with bacon-wrapped shrimp, and Short Rib Korean Tacos, which had me craving a return trip all week long. Tacos are normally served with rice, citrus chipotle slaw, and your choice of beans. We finished the afternoon with some sipping tequila from George Clooney’s offering, Casamigos. This Reposado had the most addictive aroma that I relished, with a hefty dose of vanilla and oak. 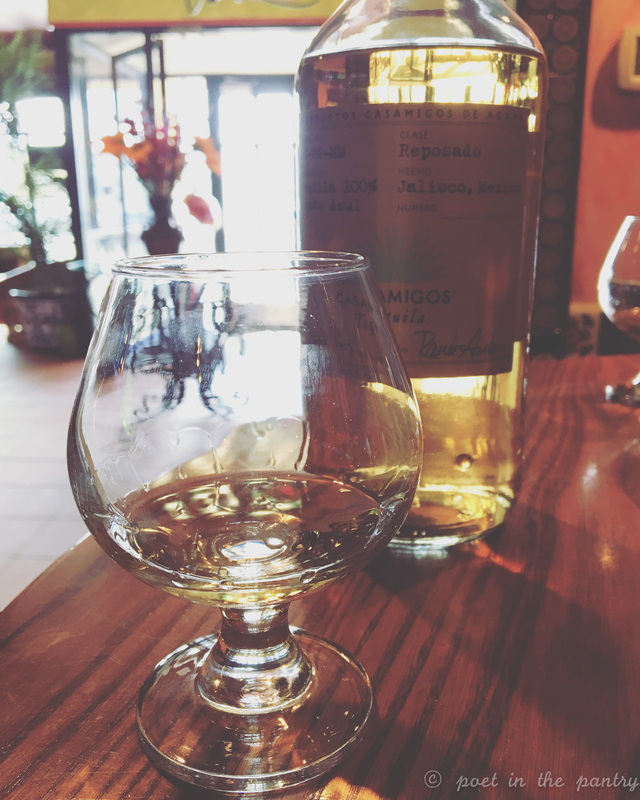 Meant to be sipped (just like a good Scotch), our attention was called to the legs–the tracks running down the side of the glass–which are heavier and slower to form on an aged tequila. It was exceptionally smooth and quite delightful. And I mean the tequila, not George. Over the two-hour tasting, I grew a strong affection for this new offering in Mexican restaurants in Connecticut. 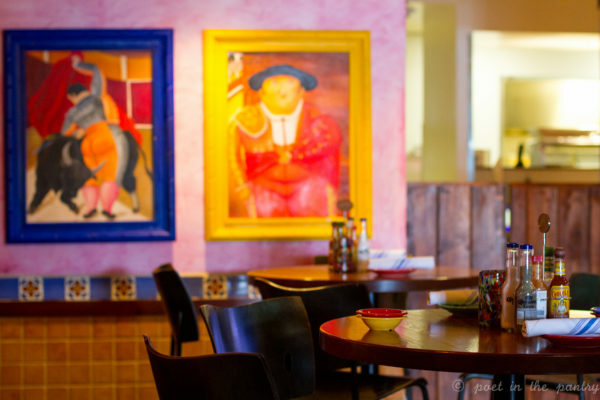 While I have a couple decent options close to home in Litchfield County, I will definitely be making the trek to West Hartford regularly to Ocho Cafe Tacos & Tequila. 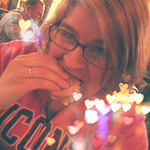 With such a focus on interesting recipes, made fresh, on site, and based on authentic, family meals, how could I not? Ocho Cafe is open Sunday-Thursday, 11AM-10PM, and Friday and Saturday, 11AM-11PM. Happy Hour is Monday-Friday, 3PM-6PM.